NI Parcels’ courier service offers fast, reliable and low cost parcel delivery to all counties, towns, villages and cities in Northern Ireland. You can send parcels quickly and easily throughout Northern Ireland with NI Parcels. We offer door to door service to all Northern Irish locations; from Ballycastle to Warrenpoint and every town and city in between. Here at NI Parcels we work with a variety of top couriers in to make sure that we can get you the best service at the best price. We work with couriers in Northern Ireland such as Parcel Force, DPD, City Air Express and Captain Courier. With NI Parcels, customers receive no NI surcharge, no hanging about at the post office and no ripoff costs! International delivery to 200+ countries. We understand that when you’re sending a parcel, speed is a top priority. That’s why we offer fast delivery times on parcels sent to, from and within Northern Ireland. We offer many same day options, as well as Express 24 hour and 48 hour services. We think it’s fair to say that most people hate sending parcels, and it’s usually because of the need to drop them down to far away depots or delivery centres. The good news about NI Parcels is that we are an online courier, and we offer a convenient door to door collection and delivery service. That means from the booking right up until the delivery, you can arrange everything from the comfort of your own home. All you have to do is book online, we’ll send you some labels to print and attach to your parcel, and then you can simply sit back and relax as we take care of the rest. Our service eliminates all of the stress and hassle usually associated with sending parcels. We offer a door to door collection and delivery service throughout Northern Ireland, to Ireland, to mainland UK and to over 200 countries worldwide! From the moment you place your booking right up until your parcel arrives safely at its destination, NI Parcels will keep you up to date every step of the way. With each and every shipment, we offer full access to live parcel tracking information, so you can monitor the status of your shipment every step of its journey. If you happen to have any questions or concerns along the way, perhaps if you notice something on your tracking information that you do not understand, then our customer support team can help. Thanks to many years of experience in logistics, our team are experts when it comes to shipping parcels all over the world. Don’t hesitate to contact our team via telephone, email or live chat. 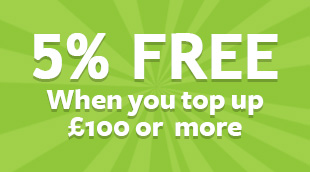 NI Parcels provides £50 free compensation cover on every single shipment. If you need to, you can increase this amount up to the value of £1,000 for a small additional fee during the booking process. Before booking with NI Parcels, we strongly recommend thoroughly reading through our list of prohibited and non-compensation items to ensure the contents of your shipment are covered. Items that are sent on our services and are not covered by compensation are sent at your own risk. As well as offering convenient and affordable parcel delivery services throughout Northern Ireland, Ireland and the UK mainland— NI Parcels also ships to over 200 countries worldwide. So, whether you need to send a care-package to a loved one living in Australia, or perhaps you need a shipping solution to expand your small business globally, NI Parcels can help. As well as reliable courier service and fast delivery, we also have great low rates for parcels sent within Northern Ireland. Our prices start at just £5.99! NI Parcels has a pay as you go system. We have no rates cards or price lists – all parcels sent with us are priced individually based on their size and weight, for the ultimate convenience and best value for money. If you need to send something larger than a parcel, you can use Pallet Anywhere to send pallets to and from Northern Ireland. If you’re wondering how we are able offer such low prices from top couriers, the answer is simple. We have negotiated great low rates from the likes of Parcelforce, DPD, City Air Express and Captain Courier, which we are able to pass onto our customers. That means that you get the same high quality delivery associated with these renowned names, but for just a fraction of the price. In fact, booking with NI Parcels is up to 80% cheaper than booking directly with the courier. To get a quote, just visit our homepage, enter your parcel details and you’ll be given list of options to choose from. Customers trust NI Parcels for parcel delivery in Northern Ireland, because we provide a door to door service, large savings, an easy to use online tracking system and real time updates so you know exactly where your parcel is and when it will be delivered. Save your cash and come to NI parcels for all your courier needs! 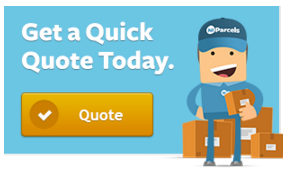 Click here and complete our quick quote box to get an instant quote for parcel delivery services in Northern Ireland. Get a quote online from us any time!